3.7 Evidence Base For Prescribing Within Physiotherapy. 4.1.4 Where can you upgrade? With changing demographics, higher expectations and an increase in long term conditions  there is an heightened pressure and demand on the NHS. To meet these demands the roles within the NHS have had to change and expand. It is important for physiotherapists to understand their scope and limitations to allow them to practice within this framework, as with this change we need to ensure that we remain working within our scope of practice to give the safest and best possible patient centred care. With these new responsibilities that are becoming a part of a physiotherapist’s remit, this page looks to explore prescribing as a physiotherapist for pain.It is important that as physiotherapists we understand our role as to who can advise or prescribe. This resource therefore aims to help build understanding around scope of practice, the responsibilities for prescribing for pain and how to change your prescribing responsibilities. A brief overview of some of the drugs used for pain a physiotherapist may come across in practice either as non-prescribers or prescribers. Audience: The resource was produced for use by Band 5 physiotherapists to understand the role the profession plays in prescribing medicines. It may be of benefit to other health professionals seeking knowledge. A case study and questions will be included, which can be used to check understanding and promote reflection on the topic. The case study is available by clicking the thumbnail. LO1. – The learner will able to complete the case study questions to demonstrate an understanding of prescribing within physiotherapy. LO2. – the learner will be able to distinguish the scope of practice for non-prescribers, supplementary prescribers and independent prescribers within physiotherapy. LO3. - The learner will be able to comprehend the process of how to become an independent and supplementary prescriber. LO4. – The learner will be able to describe the effects & side effects of common groups of pain medication, and the role they have to play in patient centred care. Also, they should be able to provide general advice at a band 5 level for pain. LO5. - The learner will be able to evaluate the effect of prescribing on the current and future role of physiotherapists. Extended Scope Practitioner - A clinician who applies and expands their expert knowledge and skills to areas of healthcare traditionally performed by another healthcare profession, which is currently seen as outside the scope of practice of the majority of their profession. Drug Classes - A drug is put into a class based on the penalty it would have if there was any offence involving the drug. Non-prescribers - Physiotherapists without further training within the prescribing field, newly qualified Band 5’s fit within this area. Supplementary prescriber- Those who have had some further training and have an agreed working relationship with a doctor or a dentist to implement treatment plans, any prescriptions that are written by this group must be signed off by the medical practitioner. Independent prescribers - Without consultation are able to either from their own diagnosis or from a previous diagnosis prescribe medication and are fully responsible and accountable for the this. This should be done within the physiotherapist's area of expertise. As the healthcare needs of the British population change, the NHS must also change and adapt to meet them. For example, the British public are living longer and are therefore acquiring more long term conditions. These are estimated to occupy 50% of the GP appointments and 70% of hospital beds. Another issue is that there is also thought to be an increase in the expectations of patients who want a co-ordinated, accessible 7-day service from the NHS. It has been felt in the literature that patients may find their healthcare experience disjointed and repetitive, due to a lack of integration between healthcare professionals . Each of these puts extra pressure on a resource strapped service, with costs currently thought to be around £12.3 billion per year . To meet these challenges new approaches and changing roles are being implemented  . Making a patient’s prescribing experience an easier, quicker and more streamlined pathway within a single appointment, reducing a patient’s total number of appointments within the NHS. Increasing involvement and independent management of a patient’s entire healthcare journey, as a result of the increasing use of physiotherapists as first-contact practitioners . Reducing demand on finite medical resources by preventing delays and contributing to a flexible team . Utilising the skills of the non-medical professions expertise in their specialist area to provide patient centred care. "This is a landmark moment that will lead to patients receiving faster, more effective treatment for their condition”. In addition to these benefits, this has implications for the way physiotherapists practice. It represents a change to physiotherapists' scope of practice which implies increased knowledge, responsibility and accountability. However, these physiotherapists are working in an area with less established support systems and a small, yet emerging evidence base. This will be explored within the scope of practice section of this resource. It is prudent as a Band 5's to be aware and understand the journey that prescribing colleagues, and potentially in themselves in future career paths, would need to embark on to attain prescribing rights, which has been included in this page. The key and most obvious area of knowledge that this role requires, which differs in comparison to a non-prescribing physiotherapist, is an in-depth knowledge of drugs, their implications and how they fit in within physiotherapy treatments. This will therefore be covered in the drugs and their implications section. As it is a current and emerging area within physiotherapy there remains many unanswered questions and concerns that need addressed; such as a change from our holistic to a 'cure over care' approach and the changing dynamic of the MDT. Of the 94 physiotherapists who have taken this professional leap forward, six interviewed by the magazine Frontline indicated that they felt the greatest benefit of their prescribing power was the ability to streamline patient care. They felt that it allowed them to begin treating patients immediately, without having to send them back to their GP for sufficient pain relief, and allowed them to view the bigger picture of a patient’s care . Any physiotherapist must not only work within their own personal scope of practice, but also within the scope of the profession. Do you think prescribing is within the scope of physiotherapy? In a narrative review, Crane and Delany comment that physiotherapists demonstrate an excellent ability to clinically reason and adapt to the changing needs of the societies they serve. The UK government has been convinced that prescribing is within physiotherapy’s scope because physiotherapists already possess the core skills that it requires. Although prescribing is within the scope of the profession, like any skill, it only becomes part of an individual physiotherapist’s scope of practice when they become competent through training. This means that before prescribing is suitable addition to a physiotherapist’s skill set, they must already be an expert in the field they wish to apply it. As a consequence, although the scope of prescribing within in physiotherapy is very wide, it is limited to only an individual's clinical specialty. This is a major difference from medical prescribing who may prescribe for any condition. It is important to remember that prescribing physiotherapists are not the equivalent of doctors, and their practice is restricted to their clinical specialty and their own patients, who they have performed a comprehensive assessment on. Once a physiotherapist decides that prescribing would be of benefit to their practice there are two types of prescriber they can become, based on their level of training. Supplementary prescribers can prescribe any medication, but it must be detailed in a written CMP. The CMP is created in partnership with the patient and a medical prescriber. This means that although they are accountable for their decision to prescribe, they share accountability with the medical prescriber for the decision to put the medication in the CMP. In their nursing supplementary prescriber counterparts, this leads many doctors to feel that they have the ultimate responsibility for both the supplementary prescriber and patient. This can result in supplementary prescribers feeling subordinate, rather than in partnership with their medical prescriber. Supplementary prescribing is particularly suited to the care of chronic conditions, as once a CMP is in place, a medical prescriber can pass over management of a patient to the supplementary prescriber. Supplementary prescribers have expert knowledge of medications within their specialty, and can therefore modify or prescribe any drug detailed within the CMP, but have no influence on drugs that patients receive for other co-morbidities. As experts in prescribing they may also provide detailed advice on any aspect of a medication for a patient, so long as they are used in their area of clinical specialty. Independent prescribers share many features and core skills with supplementary prescribers. However, as they prescribe completely autonomously and not in partnership with medical prescribers, they are wholly responsible for every aspect of the prescribing process. 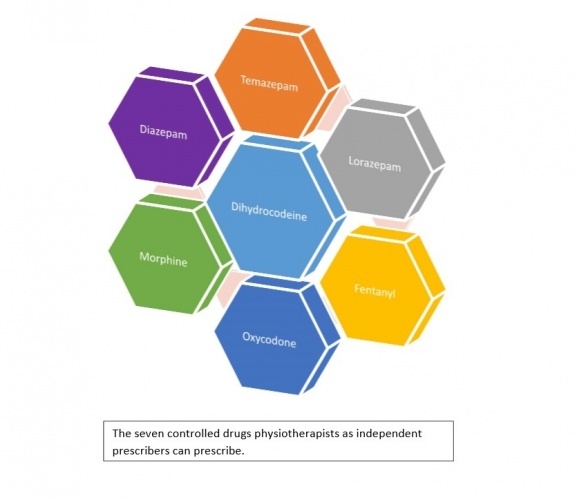 They can actually prescribe fewer medicines than a supplementary prescriber, for example, being able to prescribe only seven controlled drugs (listed below), but they are fully autonomous when doing so. As a result, Creedon et al. feel that they represent a greater challenge to medical authority. Do you think you would rather become a supplementary or independent prescriber? What would be a more useful adjunct to your practice? How does a physiotherapist decide what is within their scope? In a qualitative study by Dawson and Ghazi of physiotherapists working in similar roles as extended scope practitioners in orthopaedic clinics, many participants commented that they felt many of the skills required were beyond the current scope of physiotherapy. However, all felt confident in their jobs despite this, as they were aware of their limitations and able to liaise with their medical colleagues when in need of advice. This really highlights the key question any responsible physiotherapy prescriber should ask themselves when deciding what is within their scope. Simply put, it is ‘do I feel confident practicing this, with my current level of knowledge and skill set?’ This directly relates to some of the key competencies of a good prescriber, detailed by the Single Competency Framework For All Prescribers, where prescribers, irrespective of who they are, should be self-aware, aware of their limitations, and confident in their ability. The vast majority of physiotherapists globally are not prescribers and there appears to be debate regarding what their level of involvement in prescribing should be. In Australia, like in the UK, this is felt to be a legislative ‘grey’ area; different physiotherapist have different opinions on the extent of their scope regarding medicines. This is reflected in the guidance provided by professional bodies, as they feel an individual’s scope should vary depending on the depth of knowledge that they can demonstrate. Studies investigating this have found that physiotherapists are frequently asked a wide variety of questions regarding NSAIDs and often feel pressured by patients to provide advice and recommendations regarding them. Almost all felt concerned that they lacked sufficient knowledge to confidently provide this, commensurate with their duty of care to their patients. Kumar and Grimmer also found that most of the physiotherapists were not aware of the up to date research that has influenced best practice for NSAIDs. It would therefore be argued that this was not within the scope of these physiotherapists. It is expected in the UK that all newly qualified Band 5 physiotherapists should be sufficiently competent to advise patients on where to find appropriate advice regarding their medications, and give appropriate advice of medications that might be suitable for a patient. If they can demonstrate their competence, they can give general information on a medicine, such as widely known side-effects of a commonly accessible medicine like ibuprofen. However, they are keen to stress there is a difference between giving advice and prescribing, and therefore non-prescribing physiotherapists can not suggest alterations to a patient’s prescribed medications. Importantly, if you notice a patient is taking a medication wrongly, you can show them the directions that have been prescribed. If you feel a medicine would be of benefit to a patient, you can suggest they speak to their doctor regarding it; and if you are concerned of the effects of a medication you may ask them to speak to their doctor, or directly contact them with their consent. There are a few very specific emergency events where a non-prescribing physiotherapist may aid the administration of drugs. If a patient brings in their medication its with instructions, in an emergency, you may administer it in accordance with these, as you are assisting them to take their prescribed medication. In an emergency, like any member of the public, a physiotherapist can also lawfully give certain life-saving POMs to someone acutely unwell without a prescription. The most important of these is adrenaline which is indicated for anaphylactic shock. Mr Smith also mentions he is having terrible trouble with indigestion, you hear him ask your independent prescriber colleague, seeing as they are already writing him a prescription, to give him something to help. Can they? At lunch your colleague discusses their patient with you. They feel that they would benefit from tramadol and are considering asking an independent prescriber colleague to prescribe it. What should you say? Could you, as a non-prescriber, recommend Mr Smith also take paracetamol for his pain? No. As a MSK specialist, they only have sufficient knowledge on MSK conditions to prescribe safely. Although they may know a little about the gastrointestinal system, it is out of their scope of practice to treat it as a clinician. They are a specialist clinician, not a one-stop shop! Mr Smith should see his doctor. No, this would be outside of your scope. Although this is a very widely known drug, available under a GSL, Mr Smith is on a variety of other medications. You currently don’t have the detailed knowledge of drug interactions to recommend this safely. It is not enough for a physiotherapists to feel that prescribing is within their scope of practice. There must be some way that they are held accountable for their actions, and prove their competency and appropriate scope of practice. Two of the main ways that this can be done is through audits and CPD, where physiotherapists review their practice, or seek to increase their knowledge and skills. Physiotherapists are not only responsible for their prescribing decisions, but also every aspect of the prescribing process they are involved in. Both supplementary and independent prescribers are accountable for the decision to delegate the administration of a medicine to someone else, such as the patient or another healthcare professional, although if their decision is justified, they are not accountable for how well the individual carries out this task. This could be thought of as prescribers having to not only judge their own scope, but also the scope of practice of others. The literature identifies that physiotherapy as a profession demonstrates internal and external accountability measures already in place, but an individual’s internal rigor of accountability has the potential to be flawed. This may be a particular risk for prescribers within physiotherapy. As this is such as emerging role, like many other advanced scope practitioners, their job description and scope of practice is often still subject to revision and alteration. This lack of definition to their role gives them less external support in deciding their role, making them rely more on their own internal accountability measures, which may be subject to disagreement between professionals. Evidence Base For Prescribing Within Physiotherapy. 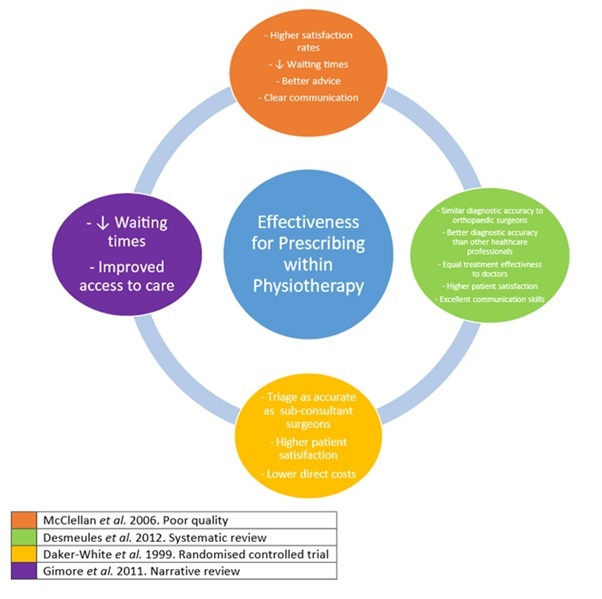 Overall, there is a lack of high quality evidence into the effectiveness of prescribing within physiotherapy, and this is a concern which needs to tackled by the profession. We speculate, however, that this may well reflect the currently low levels of qualified prescribers and the novelty of this emerging role. However, the University of Surrey is currently conducting a study to understand the impact of prescribing by physiotherapists. Despite this, there is evidence emerging that prescribing is within the scope of physiotherapy. Effective prescribing relies on the diagnostic accuracy of the prescriber. Physiotherapists in a range of MSK advanced scope roles have be shown through randomised controlled trials and systematic reviews to have equal diagnostic skill to orthopaedic surgeons and to be more accurate than other healthcare professionals, including non-orthopaedic physicians. In addition to this, the UK Department of Health for the year January 2005 to January 2006 reported that of the 60,000 medication incidents, none were related to physiotherapists. From the body of evidence regarding the more established nurse prescribing, it has been found that patients have embraced this due to the ease of access, reduced waiting times, knowledge, safety and holistic nature of nurse practice. Norman et al. have also found that non-medical prescribing made no difference to self-reported adherence to medication regimes, compared to medical prescribing in the mental health setting. We can tentatively assume that some of these may be shared features, as the role within physiotherapy expands. The effect on patients should be the most important aspect for any change in role, and Gimore et al. comment that professions should only expand their scope when there is a clear patient need. Within the nursing profession, patients' opinions on nurse prescribing have become increasingly favourable as more patients experience it. They report that patients are very satisfied and feel confident with nurse prescribing. This paper believes that key to this is the nurse-patient relationship, as patients find them easier to speak to, better at communicating and more likely to implement shared decision making than doctors. Norman et al. also found the only significant difference between nurse supplementary prescribing and medical prescribing in the mental health setting was that of the higher patient satisfaction in those allocated to nurse prescribers. The general public has also expressed an opinion that they support nurse prescribing, and that non-medical versus medical prescribers would make little difference to their adherence. In addition to this, a national survey of nurses and pharmacists in 2008 suggested that their non-medical prescribing was also highly accepted by both the patient and MDT. This has been reflected in the preliminary findings for physiotherapy. Physiotherapists working in an extended scope, including supplementary prescribing, in emergency departments have been shown to produce higher satisfaction rates than doctors or extended nurse practitioners. Patients felt they reduced waiting times and spent more time giving better advice and explanations, which educated and empowered them. In a systematic review, physiotherapists have been noted to provide significantly more advice, prescribe less medication and have higher rates of patient satisfaction than doctors. In their literature review, Kersten et al. found that the vast majority of sources were supportive of physiotherapists working in extended scope roles. In a qualitative study of physiotherapists working in extended scope roles in Scotland, all commented that they felt they have learned and changed as physiotherapists through their extended roles. They felt better and more efficient at assessments, and enjoyed being able to treat patients more comprehensively. However they noted increased anxiety and pressure which came with these roles, risking burn-out, and feeling as if they had hit a ceiling of specialisation. This was shared with nurse prescribers, who felt prescribing had increased their autonomy and effectiveness, but came with increased workload, anxiety about ability, increased personal cost and concern over the effect on professional relationships. Sadly, like other non-medical prescribers, such as nurses and pharmacists, who indicated that not all of those trained were currently prescribing (86% of nurses and 71% of pharmacists), one third of qualified prescriber AHPs indicated they did not prescribe. Within the same study it was commented that rates of prescribing are related to the levels of support they receive throughout their journey as a prescriber. However, due to the novel nature of non-medical prescribing, Stewart et al.note that there is a lack of substantial, longitudinal and high quality research on this group of prescribers. At the beginning of this section, you were asked to reflect whether you believed prescribing to be within the scope of physiotherapy. What are your opinions now? To become a supplementary/independent prescriber, you must complete a course that is recognised by the Health and Care Professions Council (HCPC). There are a number of different courses available; these courses vary in terms of length, contact time and methods of assessment, but all registered courses adhere to certain guidelines and must be approved by the HCPC. For a physiotherapist, becoming a supplementary and/or independent prescriber depends on the requirements of the clinical setting. There are courses that only offer supplementary prescribing, but the majority of courses offer both supplementary and independent prescribing. Courses offering only supplementary prescribing must still adhere to the same standards of prescribing, entry requirements, curriculum framework and assessment as a course offering both. Courses are available at both undergraduate and postgraduate level. The programme to become a prescriber is a minimum of 38 days, and may last anywhere from 3 months to a year, with most usually lasting between 3 and 6 months. Each programme differs but, as a base, every course comprises of a minimum of 26 days of theoretical learning and 12 days of practical based learning (90 hours).This is the amount of time deemed necessary to fulfil the learning outcomes found in the curriculum framework . A list of all the accredited courses in the UK is available here. The table below shows a number of the learning outcomes from the outline curriculum framework for prescribing programmes. How many of these do you feel you could currently obtain? There are a number of elements that are compulsory in all of the programmes, primarily the methods of assessing the course. These formal elements are in place to allow the student to demonstrate their knowledge, skills and understanding of prescribing in different working conditions. Although these elements vary in their delivery from course to course, the HCPC requires each course to adhere to these elements to gain accreditation. The assessment strategy by each course provider must guarantee that all of the learning outcomes for the programme are tested. Students must achieve a pass in all areas of assessment and a failure in any one element of assessment results in failure of the entire course . The compulsory elements are as follows. A written examination with a pass mark of 80%. This form of assessment enables the student to demonstrate a deep understanding of the theoretical knowledge and its use in a clinical environment. The written examination varies between courses but it is usually short answer and multiple choice based in style. A numerical assessment with a pass mark of 100%. This assessment tests numeracy within the context of prescribing practice. A reflective portfolio of practice evidence that demonstrates the learning outcomes have been achieved. This exhibits achievement of the required practice learning hours and professional competencies. The completion of a personal formulary, from within the student's scope of practice. A practical that showcases communication skills and patient assessment. Testing of the understanding of professional, ethical and legal responsibilities when it comes to prescribing. The completion of a supervised amount of practice experience, this must be signed off by the designated medical practitioner. This proves the students competency within their scope of practice as an independent/supplementary prescriber. Do you currently work in a clinical environment where supplementary/independent prescribing is necessary? 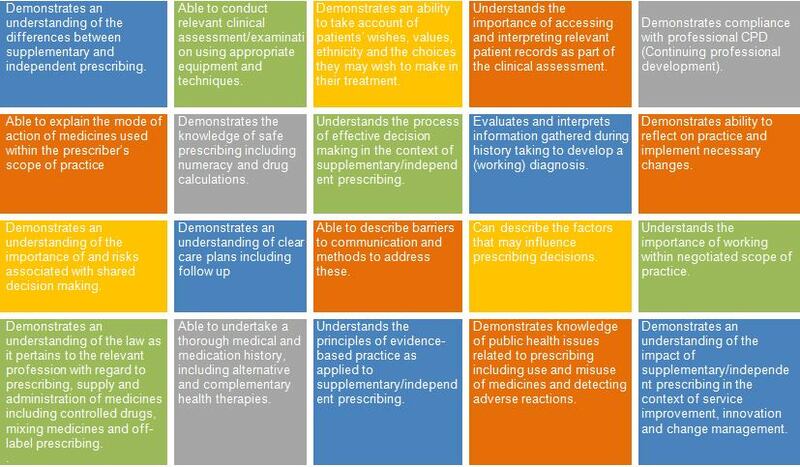 The way in which the training programme in prescribing is administered often varies from course to course. As an example, here are two of the programmes that are registered with the HCPC, with the details of how the programme is delivered. Provide evidence of a degree qualification (2:2). Provide written confirmation of support from the employer. Have agreement to supervise from a designated medical practitioner (DMP) who meets the eligibility criteria described by the National Prescribing Centre (2005) for medical supervision and who has agreed to provide the required term of supervised practice. (usually a 2:2) or above. Prescribing in the public health context. 26 days of theoretical learning, with 8 days face-to-face and 18 days of distance learning. You must have at least three years’ experience as a practising Physiotherapist and be deemed competent by your employer to undertake the programme. The most recent year must have been in the clinical field you are required to practice in. You must demonstrate an ability to study at degree level. Provide written confirmation from a designated medical prescriber who meets the eligibility criteria and who will provide the opportunities to develop competencies in prescribing during the supervised practice period. Assessed as competent in taking a history, undertake clinical assessment and diagnoses. A clinical need within your role to prescribe. Practice within a framework of professional accountability and responsibility in relation to prescribing. Although entry requirements to different courses vary, all applicants to courses must meet certain entry requirements (HCPC). The entry requirements are designed with the protection of the patient in mind, due to the dangers involved with prescribing medicine. Be registered as an allied health professional (Physiotherapist) with the Health and care professions council. Have at least three years of experience post-registration. Experience of working in the clinical field in which you intend to prescribe and be professionally practicing in an environment where there is a need to prescribe, whether it be supplementary or independent. Provide written confirmation from your employer for support to enter the programme along with confirmation that the applicant will receive the proper clinical supervision required. Agreement from a medical practitioner who has relevant experience and fits the criteria for supervision. The MP must give the student opportunities to establish the required competencies as well as assessing the student throughout clinical placement. As supplementary prescribing has been available for allied health professionals (AHP) since 2005, whereas independent prescribing has only been available since 2013, there are some AHP's who may wish to upgrade. Courses are available to convert from supplementary prescriber to independent prescriber. These courses must adhere to a slightly different curriculum framework and entry requirements but the standards are the same; providing the necessary skills, knowledge and understanding that are required to practise safely and competently as an independent prescriber in your chosen field. Is non-medical prescribing something you would be interested in? Prescribing courses must adhere to standards that are set out by the HCPC. The threshold standards, which prescribing courses must meet, are programme admissions, programme management and resources, curriculum, practice placements and standards for prescribing assessment. These standards are in place so that the provider of the course can deliver the programme as safely and efficiently as possible. The standards ensure that upon completing the course, the student demonstrates the knowledge, skills and understanding required to safely prescribe in a practical environment. They also play a significant role in protecting the members of the public against dangerous practice. There is guidance available on good prescribing practice from the Chartered Society of Physiotherapy (CSP), which aids students in ensuring that they adhere to the standards. Although it is imperative that these standards are met, the HCPC does not decide how the standards are met by each education provider. The HCPC appreciates there is often more than one way to meet a certain standard and the manner in which standards are met may change over time. 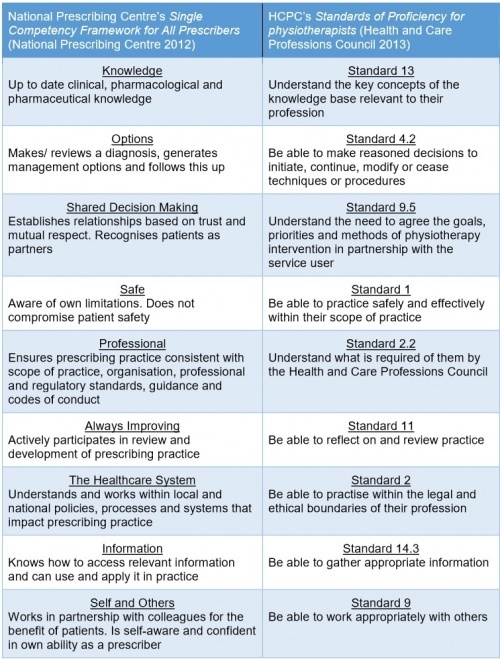 Here is a link to the standards set out by the HCPC, for both prescribing courses and prescribers. In each programme to become a non-medical prescriber, a designated medical practitioner (DMP) supervises and controls the non-medical prescribers learning in practice. The DMP determines whether the trainee has passed all of the learning outcomes, but more importantly whether the trainee is competent in practice. The DMP has the important role of preparing the student for prescribing in a clinical setting. The main focus of the clinical component of the course is to develop clinical reasoning and particularly diagnostic decision-making . Assessing that the student is competent to become an independent/supplementary prescriber. The importance of the designated medical practitioner and the practical side of the course is shown in the development of clinical skills. The university aspect concentrates on improving theoretical knowledge, whereas the DMP allows for the integration of knowledge into practice . Although a safe prescriber requires both elements, supplementary prescribing pharmacists found that the practical element was far more important in developing their clinical skills than the theoretical part of the course. As part of the practical element, certain studies have found that participants who have completed a supplementary/independent programme, would have liked to have had input and support from qualified non-medical prescribers throughout the course. A study by George et al. followed up the non-medical prescribing course found that 80% of participants would have found training from a practicing non-medical prescriber as valuable. Bowskill et al. conducted a study at the University of Nottingham, in which they paired a current student with a former student and practising non-medical prescriber. The main results of this study were that because of the academic challenges of the course, the students found it difficult contextualising their course knowledge into the practical setting. They also found that having a mentor was particularly helpful for moral support throughout the course. Do these findings point towards a non-medical prescribing mentor being present in all registered programmes? As it has been stated before there is opportunity for private practitioners to train to prescribe drugs for their patients, for this group and possibly others the ability to have a DMP may be harder to acquire. To manage pain physiotherapists use a biopsychosocial approach, factoring in not just the biological but the psychological and social aspects that can influence a patient's perception of pain. We do this as evidence has shown that pain, catastrophising and social support have a statistically significant impact on future function . Recovery time may also be impacted by the belief the patient has on their recovery time. In Breivik et al. 's study of pain in Europe it was found that 2/3rds of the population questioned were being treated either additionally or solely by non medicated means, including 30% for massage and 21% for physical therapy. Evidence suggests that GP care alone is not as effective as a combined approach of more exercise, education and traditional care. Currently physiotherapists use various evidence based means to support those with pain, this includes exercise therapy, cognitive behavioural therapy, acceptance and commitment therapy and potentially an increasing use medication to support their patients. A Cochrane review agreed with these findings that for LBP physiotherapy treatment combined with physical conditioning and cognitive behaviour treatment, reduced the number of sick days for this group. Evidence has been shown that this physiotherapy treatment can improve quality of life and daily function . Marienke et al. in a systematic review of the managment of chronic pain found that there was a general low quality of evidence, but exercise therapy, behavioural treatment and working with an MDT approach all had some evidence to support their use. Traditionally these methods are shown to have a good evidence base, but by adding the ability to presribe physiotherapists should have even more tools to support those in pain. Drugs interfere with the transmission of nerve impulses following noxious (harmful) stimulation, occurring at peripheral or central channels sites. The intention of administering analgesic drugs is to modulate the formation of noxious chemicals or to modulate the activation of neuronal channels transmitting noxious stimuli. Interestingly different countries place different focus on which drugs are the most effective for the treatment of pain as the table below demonstrates. As can be seen from the above, the most common drugs used in both Europe and in the UK were opioids and NSAIDs. Both have disadvantages that physiotherapists should be aware of. For this reason, these drug types will be elaborated upon in the following section. Taking NSAIDs causes general inhibition of target enzymes (cyclooxygenases I and II) which reduces inflammation, however, they can lead to major health issues affecting the GI tract, mucosal protection and gut motility. Side effects can lead to ulcers, renal failure, heart failure and atherosclerosis. These health risks are known but often neglected in practice. For these reasons, NSAIDs are not recommended for long term use in chronic pain, “alternative drugs, low-dose/short-term use, but especially nonpharmacologic approaches, such as physiotherapy, exercise, neurophysiologic measures, and local therapies” should be priorities in management. Contraindications: patients with a history of peptic ulcer, myocardial infarction (MI), stroke or heart failure, or with impaired renal function. Interesting fact: In the USA alone, NSAIDs accounted for approximately 98 million prescriptions in 2012. Their long-term use is a leading cause of morbidity. These drugs are classed as A, B or C. All controlled drugs for injection are bracketed under Class A . By attaching to proteins known as opioid receptors in the brain and spinal cord they reduce the perception of pain. However, persistent use of these drugs can produce a tolerance whereby their effects decrease with repeated use of the same dose, so that increasing doses need to be used to gain the same effect. Abrupt cessation of opioid use can then lead to hyperplasia- a heightened sensitivity to pain. Long-term pharmacological treatment of Chronic Non-Cancer Pain (CNCP) is highly disputed. Non-opioids (e.g. NSAIDs) can induce gastrointestinal ulcers, bleeding or cardiovascular complications. However, opioids can produce cognitive impairments, tolerance and addiction. All patients taking opioids are also at risk of attaining withdrawal symptoms. A study by Reinecke et al. suggested that the treatment of chronic pain with opioids compared to traditional physiotherapy and psychological treatment was not significantly better in terms of pain intensity, functioning and quality of life. However, as each patient has individual benefits and side effects, efficacy of their treatment cannot be objectively predetermined. It is worth noting the study did not last longer than 3 months and there was significant dropout rates due in part to adverse side effects of the drugs. Randomised controlled trials with the same control e.g a placebo, and with the same outcome measure e.g. pain score, are not always directly comparable between individuals. There is also generally a lack of longitudinal studies demonstrating long-term effects of opioid usage for chronic pain patients. Guidelines therefore recommends medication should be maintained or halted based on individual monitoring over time. Knowledge of drugs indications and side effects are important when determining whether a patient would benefit from them. If a patient has already been prescribed any of these drugs, management may vary e.g. MSK pain- a patient may be more tolerant of certain exercise because of their reduced pain, the physiotherapist would have an idea of how much to push the patient. Drugs affecting mood/sleep tolerance also have an impact on rehabilitation, allowing specific treatment plans to be adjusted in a patient centred manner. The message should also be delivered to the patient that no drug works perfectly, and knowledge of their side effects should be made known. All physiotherapists should have sufficient competence to advise patients on where to obtain appropriate medication advice, as patients perceive physiotherapists to have up to date knowledge in this area. In addition to the legislation governing the process of qualification and registration as a prescriber, there are a variety of laws classifying drugs that both prescribers and non-prescribers should be aware of. Medicines on the general sale list (GSL) can be sold at a wider range of outlets (such as supermarkets), provided those premises are lockable and the medicines are pre-packed. As previously mentioned, opioids are classed as A, B or C according to their level of penalty for possession/sale without a prescription under the Misuse of Drugs act 1971. The Misuse of Drugs Regulations 2001 further brackets drugs into schedules 1-5 with opioids falling into schedules 2 and 3. Can you identify the opioid prescribed to Mr. Smith? Do you think that the drugs prescribed for his pain were appropriate? 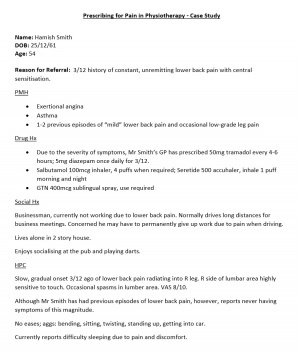 Do you think that the current drug treatment that Mr Smith has been prescribed will solve his lower back problem? If yes, how long will it take for his lower back pain to disappear? How would you treat this patient as a Band 5 physiotherapist? The drug can be appropriate for the patient. However information regarding the side effects and risks including dependence characteristics of the drugs, and the dangers of addiction with long-term use should be clearly explained. It is difficult to guarantee that the drug treatment will remove his lower back pain. A holistic assessment of the patient is required in a case like this exploring the root cause of the problem. A focus on his job and the stresses and demands involved in his line of work should be expanded upon, as well as focus other bio psychosocial elements of his life. As a band 5 physiotherapist, it is important to attempt to form a trustworthy and professional relationship with the patient. Any questions that the patient has about their treatment should be answered with informed knowledge in a confident manor. Advice on exercises and lifestyle interventions should be explored, taking the patients perceptions into strong consideration. If you feel that it is not within your capacity to provide information, the patient should be sign-posted to a more appropriate member of the healthcare team, e.g. Senior physiotherapist/GP. As with any new or emerging role in the health profession, the pros and cons must be taken into consideration before it is implemented. Given that prescribing has now been fully implemented the decision has been made that the pros do in fact outweigh the cons in this situation. But can this truly be justified? Below are some questions for you to think about before you read on. 1. What are the benefits to both patients and physiotherapists with the implementation of this new and emerging role? 2. What are the possible risks to both patients and physiotherapists with the implementation of this new and emerging role? 3. Can you think any other pros and cons? 4. From your thoughts so far, which outweighs the other, pros or cons? ‘Better access, improved assessment and monitoring, more specific titration of meds up/down, a one-stop-shop with other treatment’. A recent comment from David Baker, one of the first independent prescribers in the UK on a recent Physiotherapy led descussion on twitter . Essentially this is the basis of what independent prescribing in physiotherapy can achieve. As a profession physiotherapy has had a need for change for some time, with many drivers of change such as increasing prevalence of chronic disease, ageing populations, and increasing community expectations of responsiveness (eg shorter waiting times, quicker assessments). The question is whether independent prescribing can help to bring about this change. Since the introduction and increasing use of self-referrals in physiotherapy, which has benefits in itself , physiotherapy has become very much a one stop shop for patients. However in times gone past, patients would need to make further repeated trips to GPs to gain prescriptions, something that is now no longer necessary. This should ultimately lead to more streamlined and quicker access to care, resulting in less inconvenience to patients. It also has the potential to help foster a better working relationship between physiotherapist and patient, after all would you completely trust someone telling you to take a medication that they are unable to actually prescribe themselves? Of course this is all hearsay until evidence becomes available in the future, but several physiotherapists who have been independently prescribing thus far have personally seen the benefits, especially in regards to aspects such as waiting times for pain medication (). In 2009, the Department of Health in the UK concluded that non-medical prescribing has the potential to; improve patient care without compromising safety, make it simpler and more efficient for patients to get the medicines they need, increase patient choice in safely accessing medications, make better use of the skills of health professionals and increase value for money, contribute to the introduction of a more flexible team working together to facilitate early discharge from hospitals. Whether all of this happens in relation to physiotherapists prescribing remains to be seen. Evidence has shown however that physiotherapists in ESP roles are equal to or better than usual care in comparison to physicians in terms of diagnostic accuracy, treatment effectiveness, use of healthcare resources, economic costs and patient satisfaction. Evidence in relation to this has improved a lot in comparison to an earlier systematic review by Kersten et al. Therefore as a profession physiotherapy may well be on the right track in relation to independent prescribing but there is still a significant need to increase the evidence base surrounding this, especially with many physiotherapists themselves having varying degrees of acceptance of prescribing. Take home point: The significant need for an evidence base to back up practice and show benefits. As a profession physiotherapy has always worked within its scope of four pillars of practice, but with the implementation of prescribing there is a possible issue as to whether the profession is moving towards a ‘cure’ over ‘care’ practice. Given the biopsychosocial nature of pain, the treatment of pain as mentioned before, especially in its chronic stages should be very much focussed on a holistic ‘care’ rather than ‘cure’ treatment process. Think back to a challenging chronic pain patient you have encountered, how much of your treatment comprised of reassurance and education? Would your ability to be able to independently prescribe have changed this in any way? As a profession, independent prescribing should not take away from physiotherapist’s current array of skills and treatment techniques but rather it should add to it. It should not become the basis of treatment, simply prescribing a patient medication and sending them on their way in order to meet discharge goals, but instead by using prescribing as a way to enhance overall patient centred care. A survey of nurses prescribing found that 80% prescribe two or three times weekly, whilst 61% prescribe daily. How these figures will relate to physiotherapists prescribing is yet to be seen but research into the patterns of independent prescribing by physiotherapists is needed in order to inform practice. The importance of ‘care’ over ‘cure’ should not be underestimated. As this is a relatively new aspect of physiotherapy practice, there is a lack of published evidence relating to the role and effectiveness of physiotherapists when prescribing or administering medication. This raises the issue of potentially inappropriate prescribing (PIP) by physiotherapists. According to National Patient Safety Agency (NPSA) figures, 11% of all adverse accidents involve medications within the NHS and a startling 525,186 medication error incidents were reported over a six year period between 2005 and 2010. Also it is worth keeping in mind that not all errors are reported/documented so this will be an under-reporting . Nurses, doctors, GPs and other AHPs have been accountable for both PIP and polypharmacy. The risk of both of these increases greatly in elderly patients, something that is to become more significant and potentially dangerous with an ever increasing elderly population . Research also shows that 47% of all serious medication errors were caused by seven drugs/ drug types consisting of methotrexate, warfarin, nonsteroidal anti-inflammatory drugs, digoxin, opiods, acetylic salicyclic acid, and beta blockers, many of which are likely to be prescribed by physiotherapists in their new role as non medical prescribers. Of course it is not yet known as to whether PIP by physiotherapists currently is or will become an issue in the future, but the risk is there as the evidence shows. With physiotherapists now becoming the first point of contact for a lot of patients, with an ever increasing number of people using self-referrals, this further increases importance of getting it right, and aspects such as information are sharing becoming ever more crucial. Thus the effectiveness of physiotherapists prescribing is something that will need to be evaluated in the future and compared with other groups currently prescribing. A patient's medication journey is more than what happens at the bedside. CSP professional adviser Pip White, one of those closely involved in the campaign for independent prescribing rights for physiotherapists has said that, ‘We will evolve when clinicians, educators, researchers, managers and policy all work together to share our vision’. Physiotherapy as a profession is changing, but will this mean a change for other professions too? This is where an issue of a ‘blurring of roles’ can possibly arise. With the introduction of independent prescribing, a simple question such as which professional should a patient see, or when should the patient see them, has now become more complicated. MDT working has long been a vital part in the provision of the best and most cost-effective care in the NHS. But in reality, the effectiveness of MDT working and interaction is not always as good as it should be, with tension, hierarchical issues, cooperation, varying education, and information sharing all issues  . 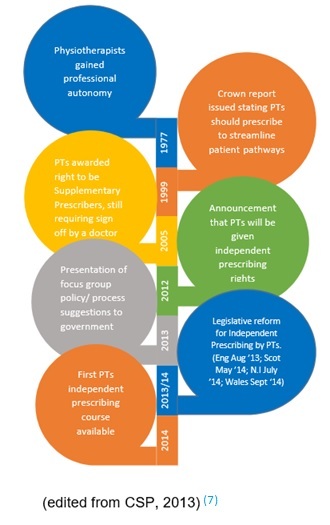 Through the introduction of independent prescribing there is the possibility to cause further issues within the MDT. Gimore et al. comment that where any profession expands it scope, it will commonly encroach on the scope of another, leading to a possible “turf war” as healthcare professionals struggle over authority and jurisdiction. In regards to nurse prescribing it has been shown that although senior doctors are quite supportive, more junior doctors are resistant, due to a possible perceived threat to their own role and scope, something that could similarly be an issue in relation to physiotherapists. Problems within the MDT could mean patient care is affected. MDT and role responsibility issues are often related to knowledge and perceived benefits of what other healthcare professionals can offer. Although over 96% of GPs in Scotland said that they were confident in a physiotherapists ability to diagnose and manage MSK conditions, 77% were generally unaware of the changing scope of physiotherapy practice. Research has also shown that even as students, many other health care professionals, do not understand physiotherapy, with many even feeling that it is not very effective. Similarly, patients are often lacking a general knowledge in relation to what physiotherapy involves, with many recognising physiotherapists as holistic clinicians skilled in pain management, but generally only associating them with post-acute care and rehabilitation, rather than having roles in extended scope practice. For example how many patients have you had say to you ‘I don’t know why I’m here or what physiotherapy is, my doctor just sent me here’. In order for physiotherapy and prescribing to move forward, there is a need to educate and inform both patients and other healthcare professionals in order to promote an overall better understanding of physiotherapy and minimise the issue of a possible blurring of roles and misunderstanding between patients and other healthcare professionals. Legal issues relating to a blurring of roles may also become a potential problem. An increased blurring of roles means there is very much a legal grey area should something go wrong. This is something that those prescribing need to be aware of and information from the CSP relating to this could be beneficial. However as of yet there has not been a case against a physiotherapist independent prescriber. For the benefit of both patients and the MDT, role responsibilities and a clear decision tree need to be defined. Regardless of whether the pros of prescribing outweigh the cons or vice versa, the fact is that independent prescribing has been introduced and physiotherapy as a profession has taken a huge step forward. The important thing now is for the profession to continue to move forward, adapt and improve. Critical reflection, and continuing to develop learning and skills are of vital importance at this point. A survey of nurse prescribing found that work based learning and training days were both effective ways at developing their prescribing knowledge, whilst 89% of the nurses surveyed felt they developed their prescribing skills since qualifying. Aspects such as free supplements, guides, and online learning resources however were only used by few. Physiotherapists working in extended scope roles felt the support of the medical profession is the most crucial aspect underpinning the success of their role, as they were aware of their own limited scope of practice. This altogether highlights the need for the CSP to implement measures in the future in relation to CPD in prescribing and general support in the workplace in order to give the greatest benefit to both patients and the physiotherapy profession. Waiting lists may get longer because more patients will be becoming directly to physiotherapy (One stop shop). Waiting lists may get shorter because patients will be getting better access to care and will need fewer appointments. Length of appointments: With physiotherapy appointments generally 30 minutes per patient, is there time to write prescriptions for patients and treatment plans. As this resource has demonstrated, physiotherapists continue to push boundries and extend their scope of practice. Evidence shows that they strive to meet and exceed the challenge of their changing role, and have excellent diagnostic accuracy and clinical reasoning skills. In addition to joining the prescribing professions, they are also enhancing it through their holistic attitude and encorporation of non-pharmamacological treatment methods. They see prescribing as a useful adjunct to practice rather than a panacea. 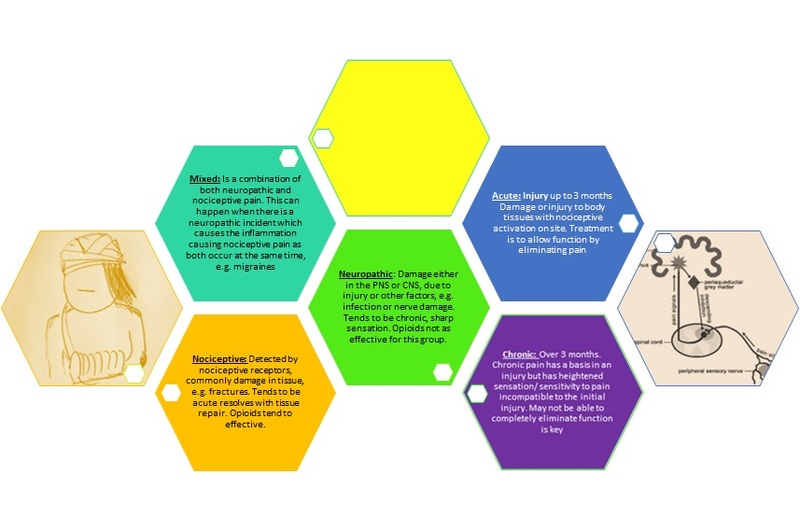 In modern day healthcare, medicines have a key role to play in patient care, therefore as Band 5's it is important to be aware and understand the implications for treatment of the various drugs used in pain management. Band 5's should have a basic understanding of common over-the-counter medicines and should be able to signpost patients to find the most appropriate advice on their medications. To become a prescriber physiotherapists must go through a comprehensive training programme. This includes teaching, clinical practice and rigorous assessment. It has been identified by NMP's that mentorship and clinical practice are key to establishing their competence and confidence, but feel this is often overlooked in many of the programmes. As with any emerging role this area is not without issues and concerns, not least; a change from our holistic approach to patients, potential prescribing errors and the controversy of blurring and role sharing within the MDT. However, prescribing within physiotherapy offers a streamlined, and potentially very effective holistic intervention for patients. They, and other non-prescribers have been shown to decrease waiting times, improve patient satisfaction and offers physiotherapists a new and wider perspective on patient care. We hope that this page has been informative and thought provoking, and allowed you to reflect on the role and effect of prescribing on physiotherapy. Should you wish to further broaden your knowledge and understanding of this rapidly emerging area of physiotherapy, there are a number of useful resources suggested. The CSP website includes publications, support and discussions regarding the scope of practice of physiotherapists and their opinions on prescribing. Documented in our training and mentorship section, we have included links to websites detailing the courses available to train for this advanced role, and some selected universities who offer such a course. Finally, it is worthwhile to keep an eye on the news, and publications such as Frontline, to follow the changes and challenges that will inevitably affect prescribing within physiotherapy in the future. ↑ Department of Health. Long-term conditions compendium of information: 3rd edition. 2012; Available at: https://www.gov.uk/government/publications/long-term-conditions-compendium-of-information-third-edition. Accessed 5th November, 2015. ↑ NHS England Publications. Frequently Asked Questions: Independent prescribing by physiotherapists and podiatrists Publications Gateway Reference 00364 . 2013; Available at:https://www.england.nhs.uk/wp-content/uploads/2013/08/faqs-ippp1.pdf. Accessed 15th November, 2015. ↑ Merskey H, Bogduk N. Part III: Pain terms, a current list with definitions and notes on usage. Classification of chronic pain 1994:209-214. ↑ Crane J, Delany C. Physiotherapists in emergency departments: responsibilities, accountability and education. Physiotherapy 2013; 99:95-100. ↑ 5.0 5.1 5.2 5.3 5.4 5.5 NHS England Publications. Frequently Asked Questions: Independent prescribing by physiotherapists and podiatrists Publications Gateway Reference 00364 . 2013; Available at:https://www.england.nhs.uk/wp-content/uploads/2013/08/faqs-ippp1.pdf. Accessed 15th November, 2015. ↑ Morris J. Current issues of accountability in physiotherapy and higher education: implications for physiotherapy educators. Physiotherapy 2002; 88:354-63. ↑ Donaldson L. Pain: breaking through the barrier. 150 years of the Annual Report of the Chief Medical Officer: On the state of Public Health 2008:32-39. ↑ CSP. Background:Historical developments in physiotherapy and medicines usefckLR. 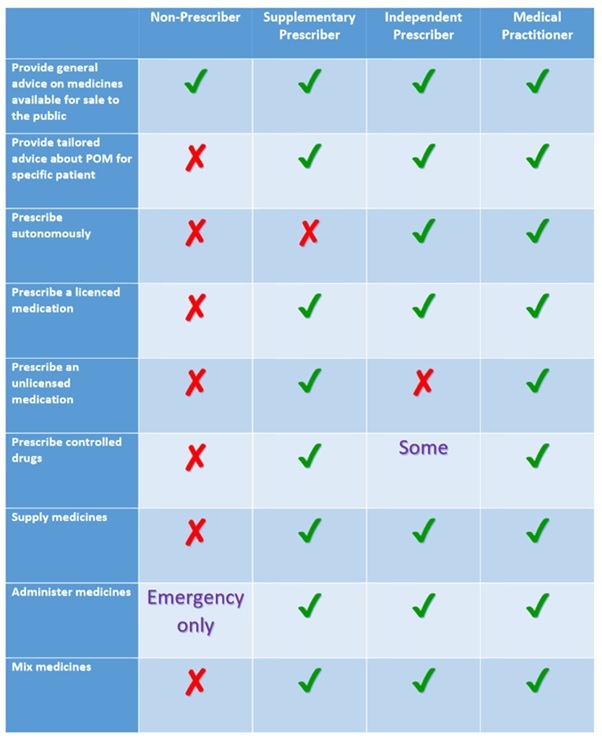 29 November 2013; Available at: http://www.csp.org.uk/professional-union/practice/medicines-use-prescribing/background. Accessed 30th October, 2015. ↑ Department of Health, Social Services and Public Safety. Pharmaceutical non-medical prescribing. 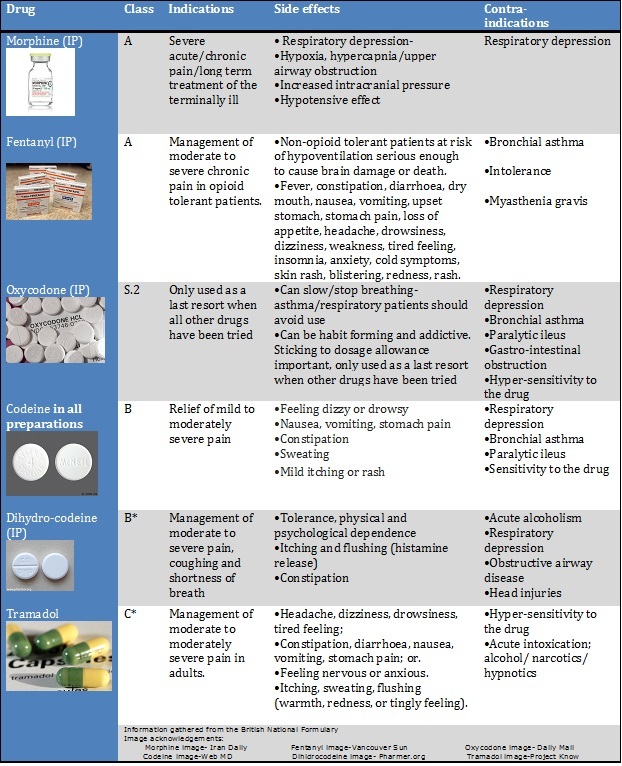 2013; Available at: https://www.dhsspsni.gov.uk/articles/pharmaceutical-non-medical-prescribing#toc-1. Accessed 29th October, 2015. ↑ BBC. Physiotherapists given prescribing powers. 20 August 2013; Available at: http://www.bbc.co.uk/news/health-23752418. Accessed 4th November, 2015. ↑ Hunt L. Independent state: independent prescribing 12 months on. Frontline 15 April 2015;21(7). ↑ 14.0 14.1 Crane J, Delany C. Physiotherapists in emergency departments: responsibilities, accountability and education. Physiotherapy 2013; 99:95-100. ↑ Health and Care Professions Council. Standards of proficiency: Physiotherapists. http://www.hcpc-uk.co.uk/assets/documents/10000DBCStandards_of_Proficiency_Physiotherapists.pdf (accessed 11 Nov 2015). ↑ Creedon R, Byrne S, Kennedy J, McCarthy S. The impact of nurse prescribing on the clinical setting. British Journal of Nursing 2015; 24:878-885. ↑ 23.0 23.1 23.2 23.3 Dawson LJ, Ghazi F. The experience of physiotherapy extended scope practitioners in orthopaedic outpatient clinics. Physiotherapy 2004; 90:210-6. ↑ Morris JH, Grimmer K. Non-medical prescribing by physiotherapists: Issues reported in the current evidence. Manual Therapy 2014; 19:82-6. ↑ 25.0 25.1 25.2 Kumar S, Grimmer K. Nonsteroidal anti-inflammatory drugs (NSAIDs) and physiotherapy management of musculoskeletal conditions: a professional minefield? Therapeutics and Clinical Risk Management 2005; 1:69-76. ↑ Kumar S, Grimmer K. Nonsteroidal anti-inflammatory drugs (NSAIDs) and physiotherapy management of musculoskeletal conditions: a professional minefield? Therapeutics and Clinical Risk Management 2005; 1:69-76. ↑ Kersten P, McPherson K, Lattimer V, George S, Breton A, Ellis B. Physiotherapy extended scope of practice - who is doing what and why? Physiotherapy 2007; 93:235-42. ↑ Desmeules F, Roy JS, MacDermid JC, Champagne F, Hinse O, Woodhouse LJ. Advance practice physiotherapy in patients with musculoskeletal disorders: A systematic review. BMC Musculoskeletal Disorders 2012; 13:1-21. ↑ Daker-White G, Carr AJ, Harvey I, Wollhead G, Bannister G, Nelson I, Kammerling M. A randomised controlled trial. Shifting the boundaries of doctors and physiotherapists in orthopaedic outpatient departments. Journal of Epidemiology and Community Health 1999; 53:643-50. ↑ Norman IJ, Coster S, McCrone P, Sibley A, Whittlesea C. A comparison of the clinical effectiveness and costs of mental health nurse supplementary prescribing and independent medical prescribing: a post-test control group study. BMC Health Services Research 2010; 10:1-9. ↑ Gimore LG, Morris JH, Murphy K, Grimmer-Somers K, Kumar S. Skills escalator in allied health: a time for reflection and refocus. Journal of Healthcare Leadership 2011; 3:53-8. ↑ 36.0 36.1 Cooper R, Anderson C, Avery T, Bissell P, Guillaume L, Hutchinson A, et al. Stakeholders' views of UK nurse and pharmacist supplementary prescribing. J Health Serv Res Policy 2008 Oct;13(4):215-221. ↑ 37.0 37.1 McClellan CM, Greenwood R, Benger JR. Effect of an extended scope of physiotherapy service on patient satisfaction and the outcome of soft tissue injuries in an adult emergency department. Emergency Medicine Journal 2006; 23:384-7. ↑ Coutenay, M., Carey, N. and Stenner, K. An overview of non medical prescribing across one strategic health authority: a questionnaire survey. BMC Health Services Research. 2012. Jun, vol. 12, pp. 138-151. ↑ Stewart D, MacLure K, George J. Educating nonmedical prescribers. Br J Clin Pharmacol 2012;74(4):662-667. ↑ Bowskill D, Meade O, Lymn JS. Use and evaluation of a mentoring scheme to promote integration of non-medical prescribing in a clinical context. BMC Medical Education 2014; 14:177. ↑ NHS Salisbury. 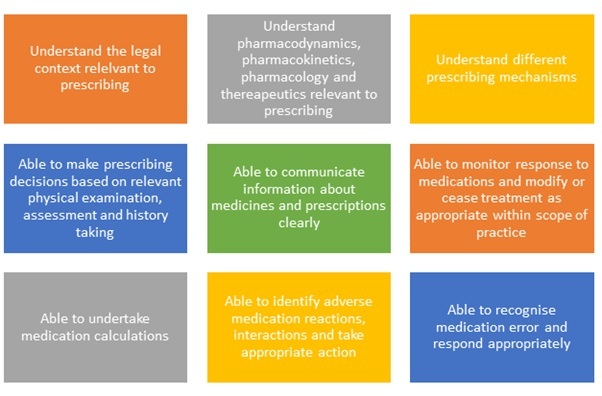 Non - Medical Prescribing policy and Clinical Governance Framework. 2014. Available at: http://www.icid.salisbury.nhs.uk/MedicinesManagement/Guidance/Generalguidance/Pages/NonMedicalPrescribing.aspx. Accessed 28th October, 2015. ↑ Smith A, Latter S, Blenkinsopp A. Safety and quality of nurse independent prescribing: a national study of experiences of education, continuing professional development clinical governance. Journal of Advanced Nursing 2014; 70(11):2506-2517. ↑ George J, Cleland J, Bond CM, McCaig DJ, Cunningham S, Diack HL, Stewart DC. Views of pharmacists and mentors on experiential learning for pharmacist supplementary prescribing trainees. Pharmacy World. Science 2008; 30(3):265-271. ↑ Ahuja J. Evaluating the learning experience of non medical prescribing students with their designated medical practitioners in their period of learning in practice: results of a survey. Nurse Educ Today. 2009; 29(8):879-85. ↑ George J, McCaig D, Bond CM, Cunningham S, Diack HL, Stewart DC. Benefits and challenges in delivering supplementary prescribing: perceptions of early pharmacist prescribers in Great Britain. Int J Pharm Pract 2007; 15:23–30. ↑ Vadivelu N, Urman RD, Hines RL, Kunnumpurath S. Essentials of pain: Springer; 2011. ↑ Ramond A, Bouton C, Richard I, Roquelaure Y, Baufreton C, Legrand E, et al. Psychosocial risk factors for chronic low back pain in primary care--a systematic review. Fam Pract 2011 Feb;28(1):12-21. ↑ Lin CC, Haas M, Maher CG, Machado LA, van Tulder MW. Cost-effectiveness of general practice care for low back pain: a systematic review. European Spine Journal 2011;20(7):1012-1023. ↑ CSP. Physiotherapy works: Chronic pain. 15 April 2014; Available at: http://www.csp.org.uk/professional-union/practice/your-business/evidence-base/physiotherapy-works/chronic-pain. Accessed 1st November, 2015. ↑ Malmros B, Mortensen L, Jensen MB, Charles P. Positive effects of physiotherapy on chronic pain and performance in osteoporosis. Osteoporosis Int 1998;8(3):215-221. ↑ Van Middelkoop M, Rubinstein SM, Kuijpers T, Verhagen AP, Ostelo R, Koes BW, et al. A systematic review on the effectiveness of physical and rehabilitation interventions for chronic non-specific low back pain. European Spine Journal 2011;20(1):19-39. ↑ 64.0 64.1 64.2 Stein C. Opioids, sensory systems and chronic pain. Eur J Pharmacol 2013;716(1):179-187. ↑ Wehling M. Non-steroidal anti-inflammatory drug use in chronic pain conditions with special emphasis on the elderly and patients with relevant comorbidities: management and mitigation of risks and adverse effects. Eur J Clin Pharmacol 2014;70(10):1159-1172. ↑ Conaghan PG. A turbulent decade for NSAIDs: update on current concepts of classification, epidemiology, comparative efficacy, and toxicity. Rheumatol Int 2012;32(6):1491-1502. ↑ Centers for Disease Control and Prevention (CDC). CDC grand rounds: prescription drug overdoses - a U.S. epidemic. MMWR Morb Mortal Wkly Rep 2012 Jan 13;61(1):10-13. ↑ Trelle S, Reichenbach S, Wandel S, Hildebrand P, Tschannen B, Villiger PM, et al. Cardiovascular safety of non-steroidal anti-inflammatory drugs: network meta-analysis. BMJ 2011 Jan 11;342:c7086. ↑ 76.0 76.1 Physiotalk. Prescribing in Physiotherapy. http://embed.symplur.com/twitter/transcript?hashtag=PhysioTalk (accessed 25th October 2015). ↑ 78.0 78.1 NHS. Improving medication error incident reporting and learning. https://www.england.nhs.uk/wp-content/uploads/2014/03/psa-sup-info-med-error.pdf (accessed 25th October 2015). ↑ 79.0 79.1 Royal college of nursing. Nurse prescribing: Update 2013. http://journals.rcni.com/userimages/ContentEditor/1379936184622/Nurse-Prescribing.pdf (accessed 25th October 2015). ↑ 80.0 80.1 NHS. Organisation patient safety incident report. http://www.nrls.npsa.nhs.uk/news-cp/organisation-patient-safety-incident-reports-september-2012/ (accessed 25th October 2015). ↑ Bradley M, Fahey T, Cahir C, Bennett K, O’Reilly D, Parsons C, Hughes C. Potentially inappropriate prescribing and cost outcomes for older people: a cross-sectional study using the Northern Ireland Enhanced Prescribing Database. European journal of clinical pharmacology 2012; 68(10): . ↑ NHS. New world, new opportunities, nursing in primary healthcare. London: DOH; 1993.